The Singapore Art & Gallery Guide website, SAGG.info, offers an unparalleled up-to-date overview of the local art scene by listing an average of 100 art exhibitions and events per day on its practical calendar, which allows readers to see all events at a glance by clicking on a specific day. 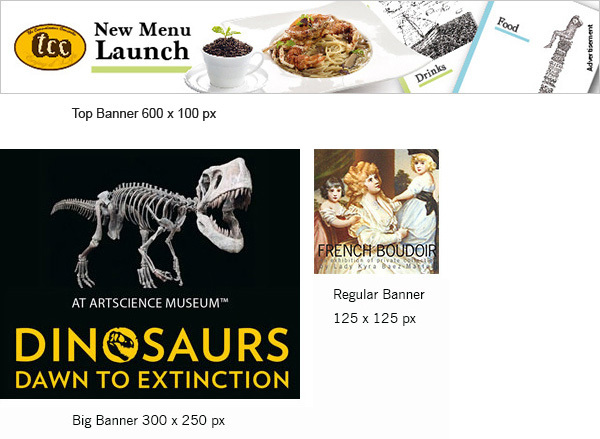 No other website provides such a comprehensive overview of the local art scene! As an independent guide to the arts, a key focus of SAGG.info is its dedication to featuring both popular and established art institutions and events, as well as Singapore’s subculture and smaller, little-known venues. With listings and editorials, SAGG.info aims to be a comprehensive and practical tool helping readers make their way around the art scene in Singapore. 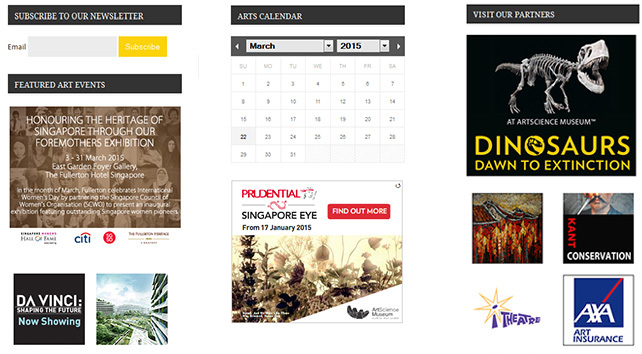 Our website is diligently updated daily to engage and promote the arts scene in Singapore. We receive around 21,000 visits per month from 8,000 unique visitors. Our readers are influential art critics, beginning and established art collectors, governmental and private sponsors of the arts, media representatives, as well as local and international visitors seeking guidance on how to enrich their cultural experience of the city. If you like what we do, you can support our work by making a donation. Here’s a selection of advertisement options for your exhibitions and events, ensuring that your brand reaches a large and dedicated creative audience. Driving traffic to your art collection is more than a creative pursuit. Take care of the basics. When it is the hottest exhibition of the season, make sure that the whole of Singapore knows with a posting in our “News” section. 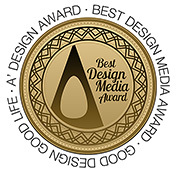 for prices and more information about advertising with SAGG. We look forward to hearing from you!